About Bernie Lehmann Who's Playing A Lehmann? 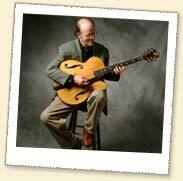 Steve Greene's guitar style follows in the tradition of the early acoustic jazz guitar masters. 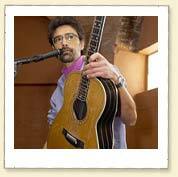 Steve’s attention to expressive and subtle harmonic coloring has won him an attentive group of listeners in the U.S. and Europe. Jim Fisch of 20th Century Guitar Magazine says: “His playing is melodic, witty, intelligent, sometimes transcendental, and swings like mad! Stylistically he serves up a savory melting pot that combine[s], in the truest jazz tradition, to mark him as a unique artist.” Find out more at www.stevegreene.com. 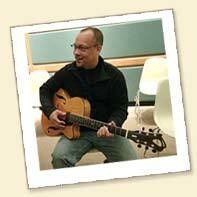 Kinloch Nelson is a solo guitarist/singer who presents a synthesis of jazz, classical, folk, American popular music, and original compositions. His programs range from J.S. Bach to the blues, and may include references to Miles Davis, Schubert, Flatt and Scruggs, The Ventures, and the occasional TV theme. Hear more about Kinloch Nelson at www.kinlochnelson.com. 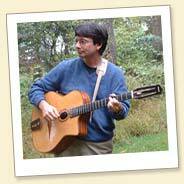 Rolly Brown has 39 years of experience on the acoustic guitar and has been a National Fingerpicking Champion and a Philadelphia Music Award nominee. He has performed at the Philadelphia Folk Festival, the Tasmanian Folk Festival, and tons of places in between. He hosted the Guitar Wizards radio show which ran on public radio in Pennsylvania, Maryland, and Maine for several years, introducing listeners to guitarists and techniques usually searched out only by total guitar maniacs. 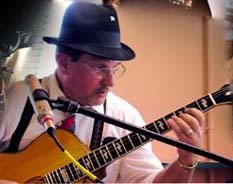 He has served as a sideman for Magpie, Winnie Winston, Saul Broudy, Jack McGann, Priscilla Herdman, Jay Ansill, and many others, and has recently performed with 1995 National Flatpicking Champion Mark Cosgrove, and, until her tragic death, with the late fiddler and singer extraordinaire Freyda Epstein. For more info, go to www.rollybrown.com. Ken Calhoun is a member of Swing 456 in Jacksonville, Fl. The band plays gypsy jazz in the style originated by Django Reinhardt, and Stephane Grappelli, as well as Latin tunes, Waltzes, and original compositions that will add the excitement of hot jazz and swing to make any occasion a special occasion. Ken's style and Lehmann Model Eclipse guitar are unique. He plays a 5 string instrument in plectrum guitar tuning. Because of the extended range of this tuning, he does with five strings what the rest of us must have six to accomplish. Site Credits ~ ©2005 Lehmann Strings, Inc.